Sometimes you have to leave a place to develop the kind of appreciation that only comes from having a comparative barometer. 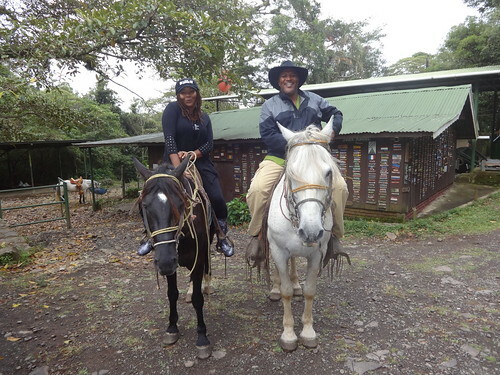 I spent my one year sabbatical in Granada, Nicaragua with my lovely lady Tanisha. 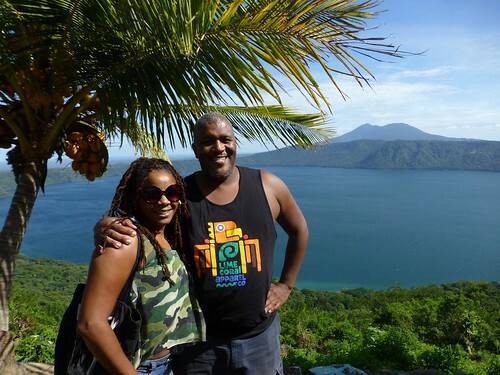 This quaint little town is about 20 minutes from an amazing volcanic crater lake, Laguna De Apoyo. Captivated by its natural beauty, my first experience enjoying a day at the laguna reminded me of a magical place right in my own backyard. Breathtaking in its own right, it dawned on me that Lake Tahoe has the capacity to satisfy all my adventurous desires from skiing to scuba diving to SUP (stand up paddle). 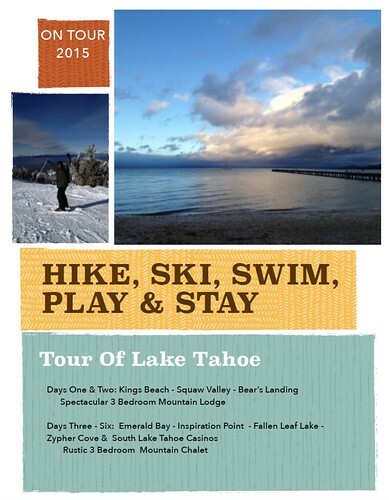 Taking the FlipKey Lake Tahoe Virtual Tour sparked our intrest and heighten our excitement about planning a trip to this destination. This interactive tour is a game changer because it makes the pre-planning process more engaging. A 360-degree view brings a destination to life and is an amazing tool for selecting activities. The history behind King’s Beach is fascinating! Joe King, was a tough guy from Texas. He intrigued me as he was able to make his own luck. He reminds me of myself in that respect. As the story goes, Joe King worked as a bouncer in the Lake Front area of Lake Tahoe. He became a partner with an owner of a resort. His best stroke of luck was winning a large plot of land in a high stakes card game. This bit of information is particularly interesting because my other half is quite the Texas hold’em player. 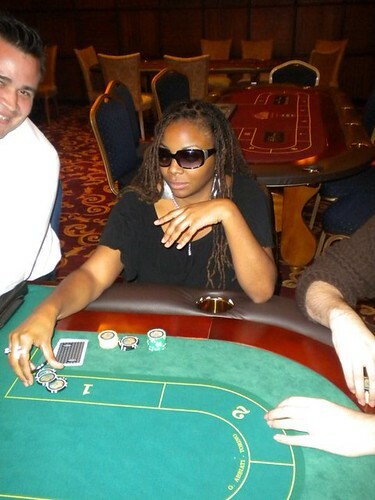 Some might even call her a card shark, lol. We want this area to be our first destination because we have found the link between a bit of King’s Beach history and ourselves. Reminiscent of our Texas home base and my Louisiana roots, I bet Joe made some good Texas Chilli or Louisiana Gumbo for those cold winters. 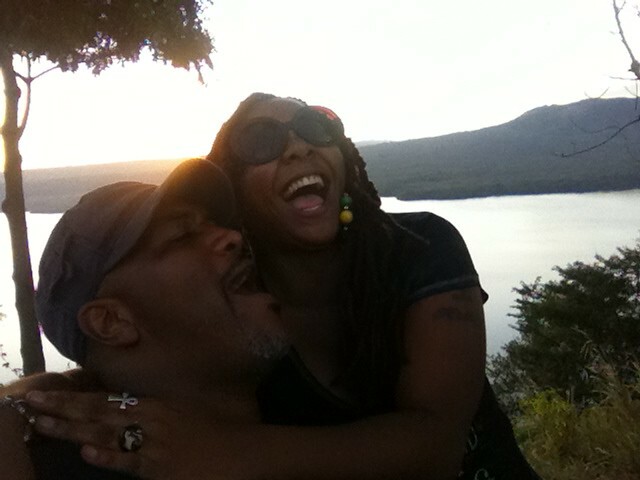 After a year in Nicaragua, Tanisha and I are on endless summer mode but that won’t stop us from hitting the ground running with the goal of exploring Lake Tahoe to the fullest! After a quick stop to get settled in at our mountaintop villa, we will head to the famous Char-Pit restaurant for a char-broiled burger lunch. Sure glad they have a good veggie option for Tanisha. Once lunch is done, it’ll be time to head down to the beach!!! I’m an avid Paddle boarder so I am very giddy about touching the cool glacial waters and checking out the vistas from that vantage point. 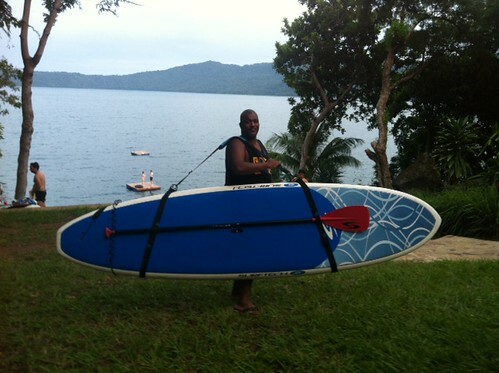 Tanisha would accompany me via kayak so we’ve found a place where we can rent equipment for both – Adrift Tahoe. After a day of SUP and kayaking on the lake, we will take a rest to watch the sunset from our cool rental spot followed by dinner at Steamers Beachside Bar and Oven. The pizza looks great and I can’t wait to have a Sierra Nevada! Finally, we’ll cap off the night enjoying a couples competition at King’s Beach Miniature Golf . The views of the lake can be enjoyed in the winter or other seasons. In the off season, we can mountain bike and hike the trails. For a winter excursion, our day at King’s Beach would be replaced with an adventure to Squaw Valley (a large ski resort complex with 42 Lifts and 270 trails). 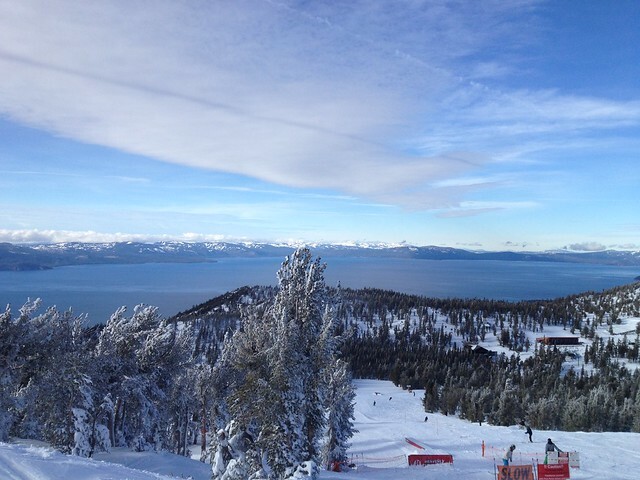 This is a skiing and snowboarding paradise. I will ski the picturesque slopes. 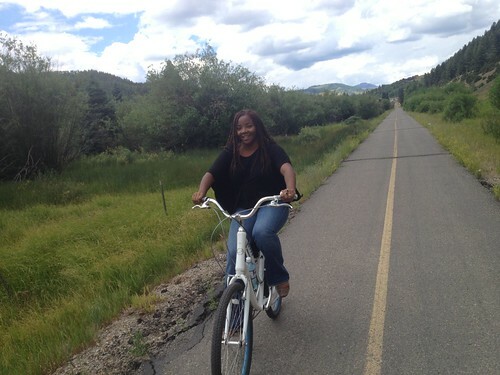 Tanisha would prefer to try her hand at snowboarding or spend the day at the, Trilogy Spa, practicing yoga followed by some hot chocolate at the lodge. We can fill our bellies at the Fireside Pizza Company before returning back to our rental home at Kings Beach. We hope for a clear night so that we can gaze at the lake and the stars from our lovely patio. Upon departing from the North Lake Tahoe area, we will pass by Bear’s Landing at Donner Lake. This will be a quick quest as to not get stuck there like the Donner Clan back in 1846. We have found another great FlipKey property that is rustic and tucked into the mountains. We have always wanted to stay in an A frame house and this one looks great! 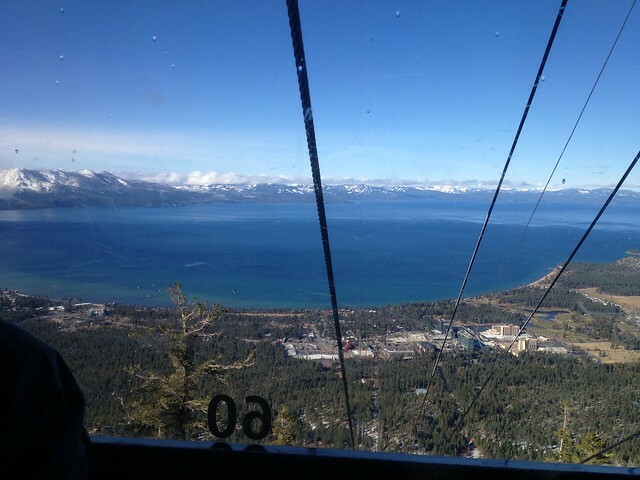 This location will offer us great access to the South Lake Tahoe scene. Over the course of three days, we can spend time visiting some of the great vistas and channeling our inner Joe King at the gaming tables. By day, we will visit three points of interest along the lake including: Emerald Bay, Inspiration Point, and Fallen Leaf Lake. The scenic ride along Route 89 (from the north) that hugs the lake’s coast is sure to be a spunky addition to our already adventurous journey. We love Thai food and we found a place with great reviews on TripAdvisor. My Thai Cuisine will be a yummy lunch pit stop! 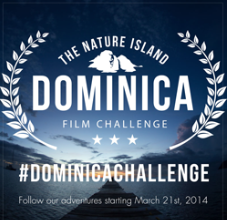 We can’t wait to experience the beauty of the bays and coves carved out by glaciers. In addition, South Lake Tahoe has many casinos where we can amass our fortune to feed our travel addiction, lol. At Harvey’s Casino and Hard Rock Tahoe we’ll be taking over the poker tables by nightfall but not before we hike up to Inspiration Point for views of Emerald Bay from a higher altitude. A similar lookout point inspired our first kiss. 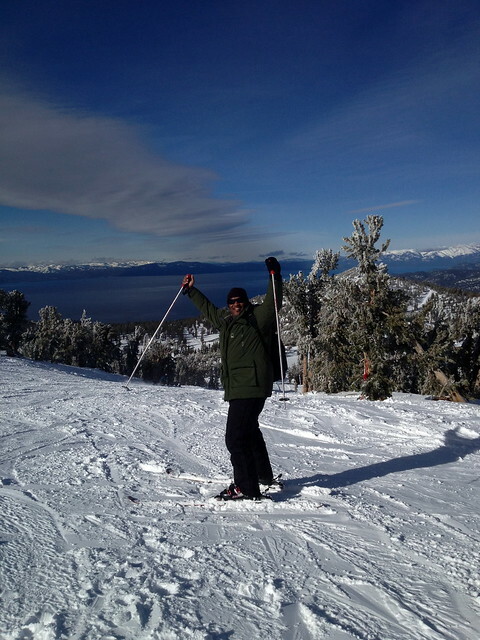 Who knows what other kind of “firsts” could come out of this incredible visit to Lake Tahoe? Tanisha is trying to convince me that we should rock climb Lover’s Leap, who knows? Stranger things have happened, to be continued…..
Day two begins visiting “Vikingsholm” the summer castle of Lora Knight which hovers over sparkling Emerald bay. Lora Knight and her husband were the prime financial backers of Charles Lindbergh’s Trans-Atlantic flight. This is a cool little fun fact for a couple of traveling nomads like ourselves. The next stop will be to the underwater state park housed in Emerald Bay. I usually don’t do much lake diving but I can’t pass up the chance for such a unique experience. 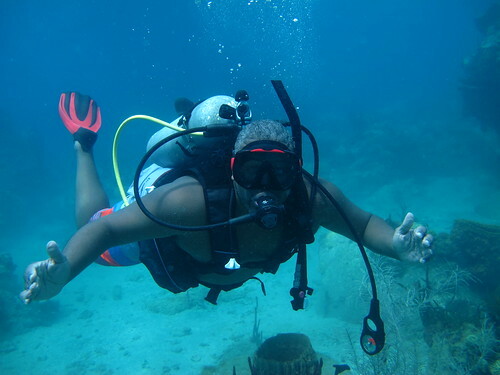 The scuba diver in me is ready to brave the frigid waters. On the third day of our South Lake Tahoe adventure, we will start the day by renting bikes from Anderson Bike Rental on Hwy 89. The South Lake Tahoe Bike Path weaves through the beautiful woods with glimpses of the lake. We are excited to visit the nature preserve near the end of the bike trail where we hope to catch a sneak peak of the salmon spawning. Salmon is Tanisha’s favorite fish! So a nice seafood lunch at the highly rated River Grill is a MUST. Then we will round out the day at Zephyr Cove for a lovely sunset cruise. After one last night at our rustic South Lake Tahoe rental, we will do the breakfast horseback ride at Zephyr Cove Stables. Along the route back to the airport, we will stop briefly at Fallen Leaf Lake to reflect on the awesomeness of our time spent in Lake Tahoe. Tripadvisor gives great reviews of these clear fresh waters. 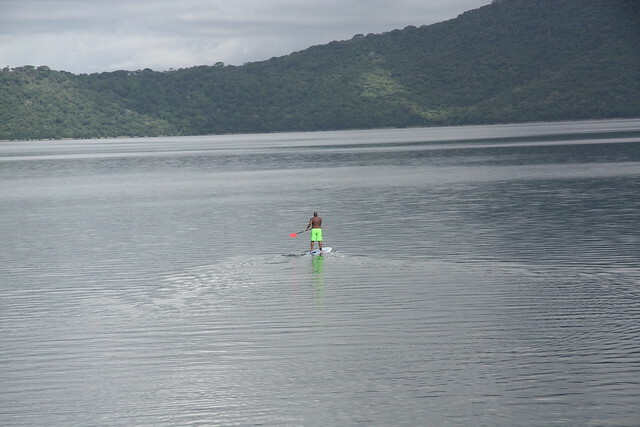 The location is described as “untouched” much like the Nicaraguan oasis where we fell in love. 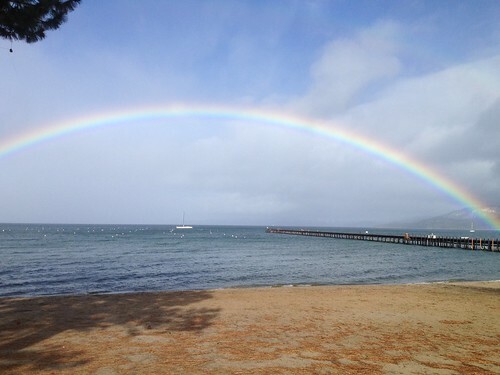 So there you have it….. FlipKey Take Us to Lake Tahoe so we can continue our natural love affair with nature! 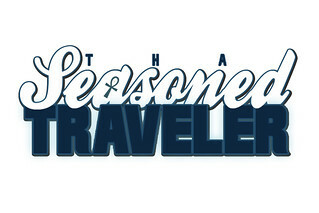 New updates in the Life of Tha Seasoned Traveler. See this Video that was picked up by Ebony Magazine. 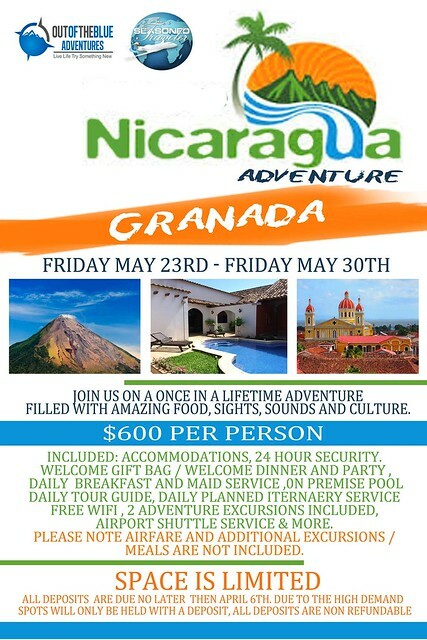 Join us in conjunction with Out Of The Blue Adventures for this epic tour of Central Americas Most Exciting Natural Destination for Adventure, Granada, Nicaragua. 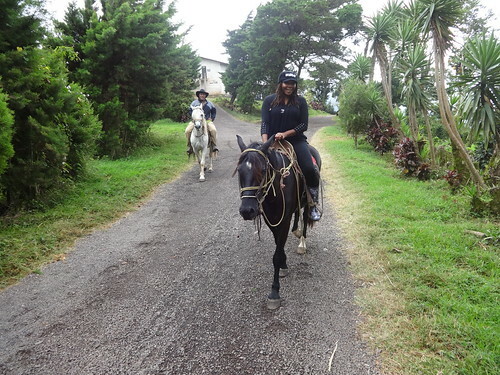 Granada is a beautiful colonial town nestled on Lake Nicaragua near the the Mombacho Volcano.